5 tips for setting the right tone with your email list. What do you remember about the last person you met? Usually the first meeting you remember if they seemed like a trustworthy person or not. Were they clumsy? Were they suave? Your first interaction with others is important on setting the right tone of any relationship. The same can be said for email marketing. I am learning that email content is difficult to get a head start in. It’s the last sacred place besides a phone number that everyone keeps locked safe. For you to be able to get an email from someone, they have to trust that the content will be worth their time. I don’t think there is a person who is constantly receiving countless emails about everything going on around them. So it’s important to be diligent about that trust you set with the first interaction. In the early part of December 2015, I gathered the questions that I have been answering about design and my processes. This list, though it is now antiquated, was the start of my process on writing about what I know and what I am learning. But I wanted to do more and I wanted to help more people. The challenge was that I had less than a years experience doing design as a full time gig. For me, that crazy idea burning inside me is to teach and grow an audience around people who are starting to learn design. Though design is a broad term for many specialties, I wanted to focus my efforts on people who are identifying with branding, web design, and graphic design. The early pains of starting out and creating good, solid content is something I live every day. I want this to be something that people don’t have to go alone. Almost a whole year from when I first started, I decided I was going to create a newsletter. And I really dropped the ball. I started without a goal, without knowing how to use the email marketing tools, and without having any of the content written up front, nor a landing page for the design. Thankfully people are pretty lenient about those working and iterating as they go. I got an email about the list, wondering if they had missed the welcome email. To be honest, there wasn’t one at the time. I was intending to test the sign up form myself on an article that I figured would have low traction, but it turned out to be a big hit instead! After that email, I started researching how to write great welcome letters. Thanks to Veni, a colleague who’s a great leader in empowering women in tech, I had a good place to start. 1: You have to keep your message focused. When everyone already gets between 20–80 emails a day, not everyone is dying to spend six minutes on each, reading all of them. Your content needs to be focused and to the point. Even though it’s nice to elaborate and expand upon everything at the beginning, you don’t go over your whole life’s story when meeting someone. Not everyone who meets someone is going to remember that at the start of a new relationship. Having a clear and concise message is key for readers to have great takeaways from your welcome email..
Another email series? What was this one for again? You started this email list for a reason, but with all the other emails relentlessly pelting the recipients inbox, it can be easy to forget who this email is from or why they might have signed up for your list. The seanwes team does a great job when welcoming their recipients with a introductory email. It must be something in the water there because each welcome email starts out with a great introduction to what they signed up for. Small, random snip from the beginning of a welcome. I play instruments on the side of my creative passion. This has been a great outlet for me to relieve stress from the daily grind. When I met another bass guitarist, I figured I would give him my number should we decide to hang out and jam in the future. He called once that week, and then the next day he called again. Well, he preceded to call more than 3x that week to see if I wanted to get together with him and another buddy I hadn’t met. It was like the stories you hear of someone’s aunt calling them to check on the cat every few days. Too much. Your email inbox is just like that. I had no idea he wanted to hang out so badly, but instead I had to end the relationship a few weeks later. When a reader signs up for a list of content, it seems only good practice to set an expectation of what your intentions are with the list and how often they should hear from you. When every action is highlighted, nothing is highlighted. You’ve probably had an email before where there is a button after every paragraph, the important titles are blue, and there’s a red “do this first" t. The problem is that if you give people too many things to do, they choose to do nothing instead. Every day people are asked to make a decision. Paper or plastic? Beef or chicken? This is becoming a common problem where people are used to having an endless array of options available when making decisions. More often then not, this gives users less control and anxiety on what options they need to choose and less interaction on what you wanted them to choose. Giving less than three clear action points seems to be the sweet spot. So my welcome email only has one CTA and my newsletter only calls for two actions. 5: Ask for the next date. What happens during a first date? You just spent some time letting them learn about you and now you need to decide where to go from here? You should ask them something about themselves and get a conversation going. This helps you build more on the previous topics and fuels your next few conversations. You want to end the interaction with setting your next date together. Email is the same, so depending on what your goal is for the relationship between you two, setting the directions of the next conversations by asking questions is a great way to get people more engaged in the relationship. Give these points a consideration when creating your welcome email. It’s important to set the correct tone right from the beginning of your series. I also believe on giving credit to those who helped out. Thanks Veni for the help on where to start when writing your first welcome email. I appreciate it. This article was originally published on Medium. Click here to see the original. 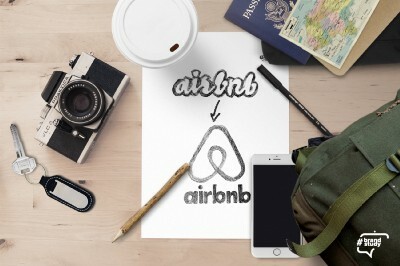 Great brands elicit emotion: sadness, resolve, loyalty, excitement. These are positioned beyond their peers to tell a poignant story. 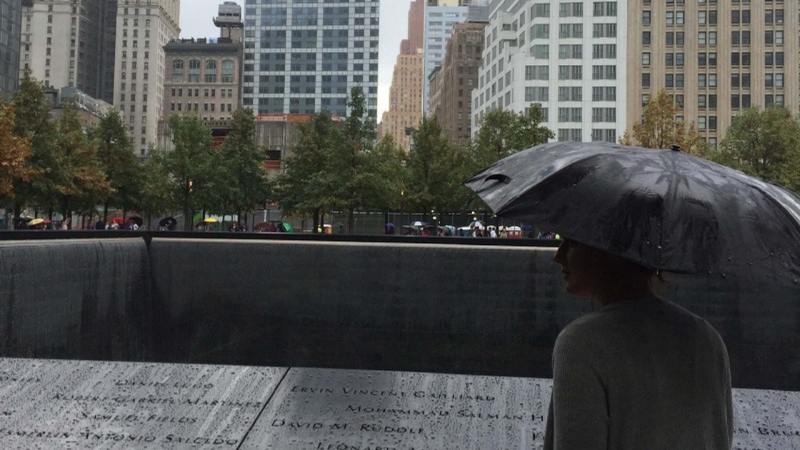 Perhaps no brand is more tied to emotion than the 9/11 Memorial. In the latest installment of Great Brands and their Makers, I take a look at the elements that make up the memorial experience. Ever since I became conscious of an industry centered around aesthetics, I wonder about the economics of it. My confusion only intensifies as “good design” seems so subjective. I know there are inherent ideas of what constitutes good and bad design. Design elements and principles for two. It’s what attracts large populations to certain things. Do I use my name or a business name to freelance? The choice of what to brand yourself as is never an easy one. You want to connect your heart and soul to what you do. Whether your choice is naming your freelance gig or to keep it under your personal name, you want to make sure that name is the right one. As a reader, you'll have access to what we're learning in the Compass of Design Community, along with actionable tips on how to improve your design work and improve your marketability.